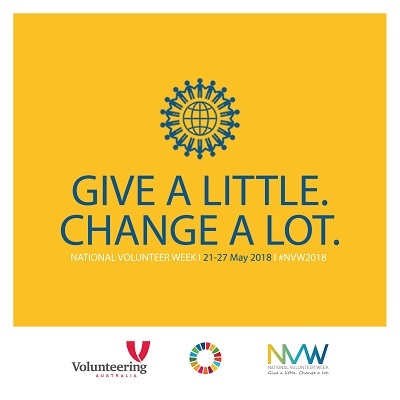 During National Volunteer Week 2018 (21–27 May) we are pausing to say thank you for all the good volunteers bring to the world. 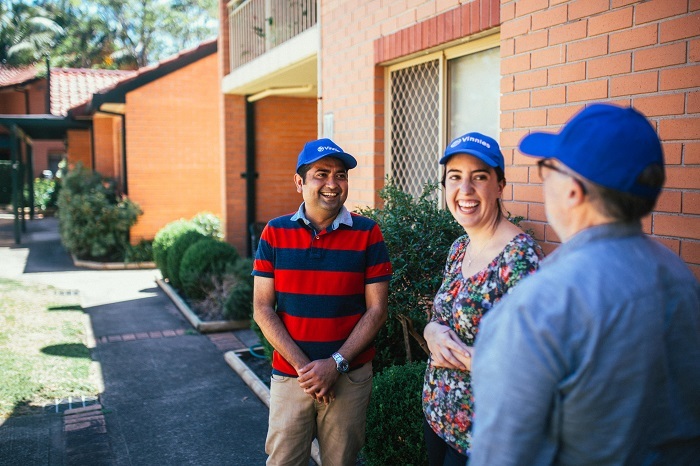 The St Vincent de Paul Society of Australia has over 55,000 generous volunteers. They’re in our Vinnies shops, on our streets, in people’s homes, educating our children, lending their ears to listen and provide companionship. National President Graham West said: "I sincerely thank all of our volunteers and members for their time and efforts. Our volunteers are following in the simple footsteps of a fellow volunteer, the founder of the St Vincent de Paul Society, the Blessed Frederic Ozanam. "Frederic was a young University student when he founded the Society in France in 1833. I believe the good intentions of our volunteers are aptly summed up by this quote from Frederic: ‘In my life I want to become better and do a little good’," Mr West said. The theme for this year’s National Volunteer Week is Give a little. Change a lot. The theme represents the millions of volunteers who make a profound impact in their communities and on society, through giving a little time. National Volunteer Week is an annual event run by Volunteering Australia to raise the profile of volunteers and the contribution they make to the public good. Our volunteers are everyday people, from all walks of life and backgrounds, and together their selfless actions enable our charity to assist the people in the most need in our communities. By volunteering with the St Vincent de Paul Society, you can be sure you’re making a difference for those in need. For some Vinnies volunteers, this is a chance to give something back to the community, to use their skills and experience to make a difference in the lives of people who need assistance the most. For others, it is a chance to develop new skills and experience in a supportive environment. Read more about our FAQs for volunteers. It’s easy to get started as a Vinnies volunteer. Simply click on one of the links below to be taken to your state or territory’s volunteer page. It will have all the information you need to make a difference in someone’s life.